While this major KDOT project in Johnson County is safe, millions of dollars in preservation work is not being done in Kansas. Kansas tax revenues are plummeting and that may bode poorly for the future of the state's highway system. Tax revenue has come in $57 million below estimates since the fiscal year began in July, leading the Brownback Administration to sweep money from different places to balance the budget. The biggest hit was taken by the Kansas Department of Transportation (KDOT). 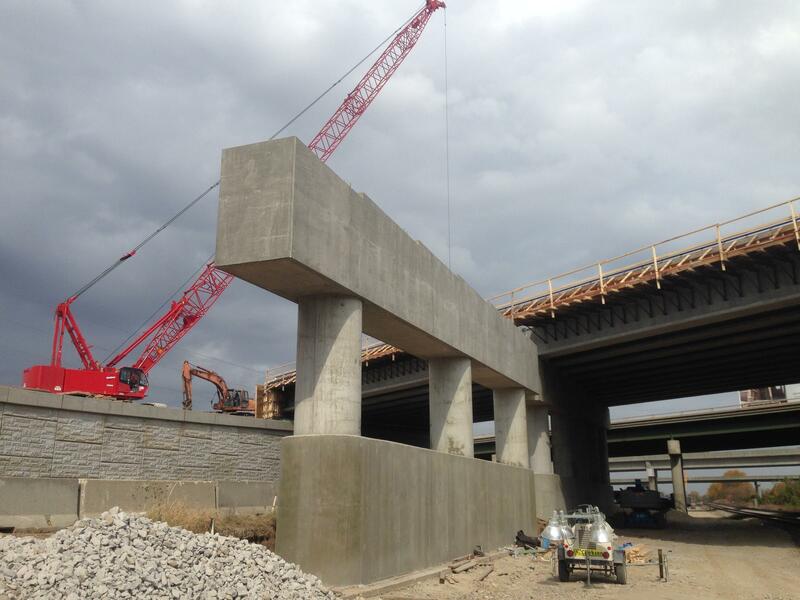 You can talk about expansion projects, preservation projects and economic development around transportation, but for many, what’s happening to KDOT funding right now boils down to one thing. "It’s pretty simple," says Jeff Engroff, owner Sunflower Paving in Lawrence. "Go over to Missouri and drive their roads for a little while and we’re walking right down the same path." Like many others pavement and transportation contractors, Sunflower Paving relies almost solely on government contracts, especially from KDOT. Kansas is in the middle of a ten-year, $8 billion program, called T-Works. It is aimed at expanding and preserving the state's highways, which are considered among the best in the nation, but economic troubles have dogged the program. Since T-Works was announced in 2010, some $2 billion have been swept into the state general fund. "Oh, we’re well beyond the first step of becoming Missouri in the state of Kansas," says former KDOT secretary Deb Miller who worked for three governors, including Sam Brownback, and the driving force behind T-Works. Clearly, it appears nobody wants Kansas roads to end up like Missouri’s. Sunflower Paving in Lawrence has no KDOT business on the books for 2016, a first in company history. "You can not, as this administration has done, say that you can remove hundreds of millions of dollars from the Department of Transportation, but that it will have no consequence to the quality of the roads or the commitments that were made to the public," says Miller. Brownback and KDOT have repeatedly said that all major T-works projects are moving forward, including the big project in Johnson County where I-435, I- 35 and K-10 all come together, the south Lawrence Traffic Way and turning U.S 54 in southwest Kansas into a four-lane highway. While it’s true those big projects are on track, Miller says 80 percent of T-Works money was aimed at preservation. Preservation was something KDOT officials heard over and over again when they met with elected officials and business leaders from around the state before T-Works was launched. 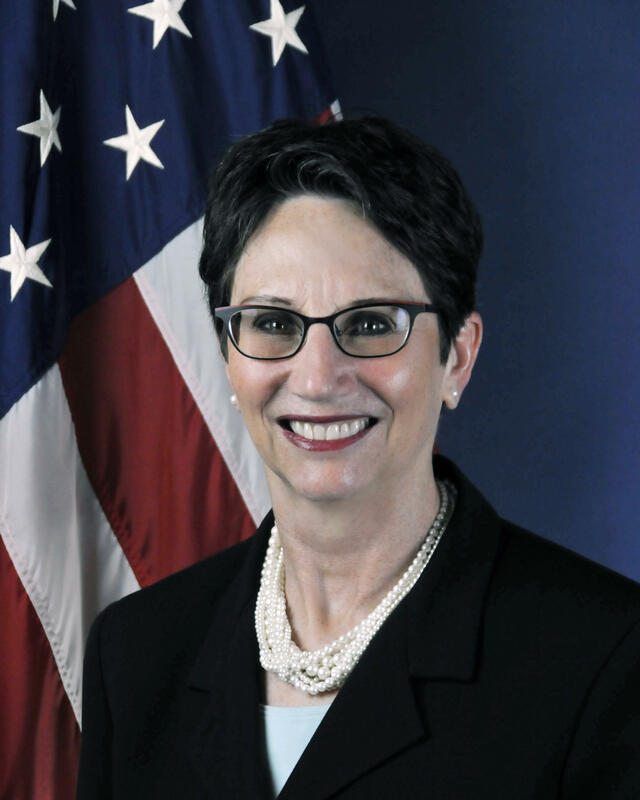 Former KDOT Secretary Deb Miller is worried about the future of Kansas highways after hundreds of millions of dollars was swept from transportation projects. "It’s the easiest thing to eliminate from a political standpoint because nobody quite knows that they’ve lost a project," Miller says. The Kansas Contractors Association has calculated what this means for state roads, and it’s bad. Usually, 1200 miles of state highways would be attended to in a year, but next year, that number will drop to just 200 miles. In an average year, 110 bridges in Kansas would get some kind of maintenance work, but next year that will be cut in half. KDOT does not dispute those numbers. "It’s an effect that can probably be absorbed for one year, but a continued reduction in spending on preservation will bring our system condition down below targets," says KDOT Deputy Secretary Jerry Younger. Younger is a 30 year veteran of the department and a civil engineer by training. He toes the administration line that all major projects are moving forward, but all that deferred maintenance gives him pause. "Is it worrisome and concerning? Sure," he says. "There has been a huge investment into the transportation in Kansas and I think all of us are concerned that something will happen that will impact that investment. And we don’t want to see that." To be clear, Democratic Governors Kathleen Sebelius and Mark Parkinson also swept KDOT funds when the economy tanked. But many in transportation say it’s different under Brownback. "It’s become almost epidemic. If there’s a need for money people immediately look to the state highway fund for relief," says Michael Johnston CEO of Economic Lifelines, an organization that advocates for transportation investment. Johnston also is a former KDOT Secretary, ran the Kansas Turnpike and served in the Legislature. Miller says Brownback had a pretty good transportation record when he was in the U.S. Senate. Now, she says, all he's worried about is cutting the state's income tax. "If it means cratering the transportation program to accomplish this income goal, it appears to me the governor is very willing to do that." This kind of construction moves a lot of money through the Kansas economy. Companies buy materials and fuel. They hire people who stay in motels and eat in restaurants. The Kansas Contractors Association say some bigger companies are finding work in Missouri, Oklahoma and Arkansas. While that's good for those particular companies, little of the economic benefit is realized in Kansas. At a time when Kansas needs jobs, says Johnston, cutting KDOT will not help. Younger from KDOT says the department knows this and has moved some business into the next year to ease the burden on contractors. But he stresses, none of this was the department's idea. "KDOT isn’t the one making the decisions on those sorts of sweeps and transfers," says Younger. "What we’re doing is providing the best information data to educate those folks who are making those decisions, what effect it would have on the transportation system." "I think 2016 is going to be an okay year. I think 2017 is going to be a horrible year." Which brings us back to Jeff Engroff at Sunflower Paving in Lawrence. He has a hundred pretty well-paid employees right now but says it’s going to be hard to keep them all over the next two years. Engroff says for the first time in company history, he has no KDOT work on the books for the coming spring. He says that Sunflower will make it, but others may not. "There’s just not enough dollars out there to go around for everybody." In statements, KDOT and Governor Brownback's office have said the preservation work is being delayed not canceled. But its future looks dim. In October, the administration was forced to sweep $48 million from KDOT to help pay the state’s everyday expenses. The state will release November revenues on December 1. The number of Fatalities on Kansas roads has reached an all-time low. The Kansas Department of Transportation (KDOT) says there were 344 fatalities on the state's roads last year. The number of deaths on Kansas roads has fallen significantly in the last decade or so. There were more than 500 deaths in 2002. "I really think that there's a lot of factors that are contributing," says Steven Buckley, safety engineer with KDOT. 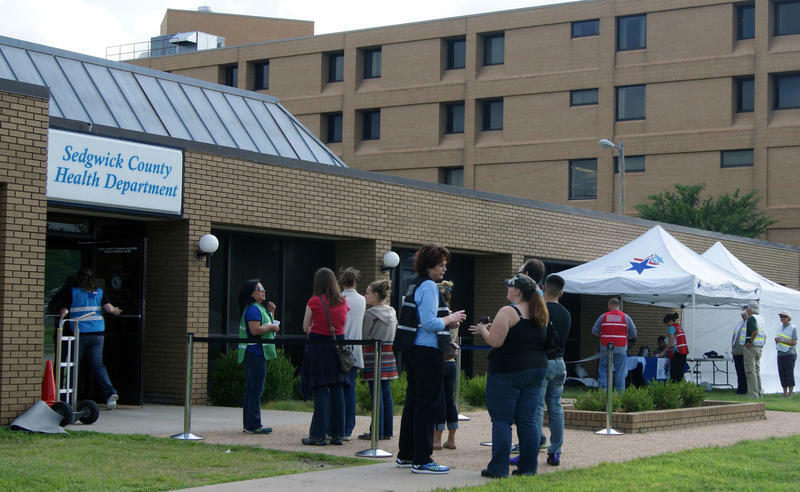 Once upon a time Kansas was a national leader in public health. Credit largely goes to Dr. Samuel Crumbine, who early in the 20th century created and led what is now the Kansas Department of Health and Environment. He convinced Kansans to stop spitting on sidewalks. And he pushed state lawmakers to pass food purity laws and to ban the public drinking cup. 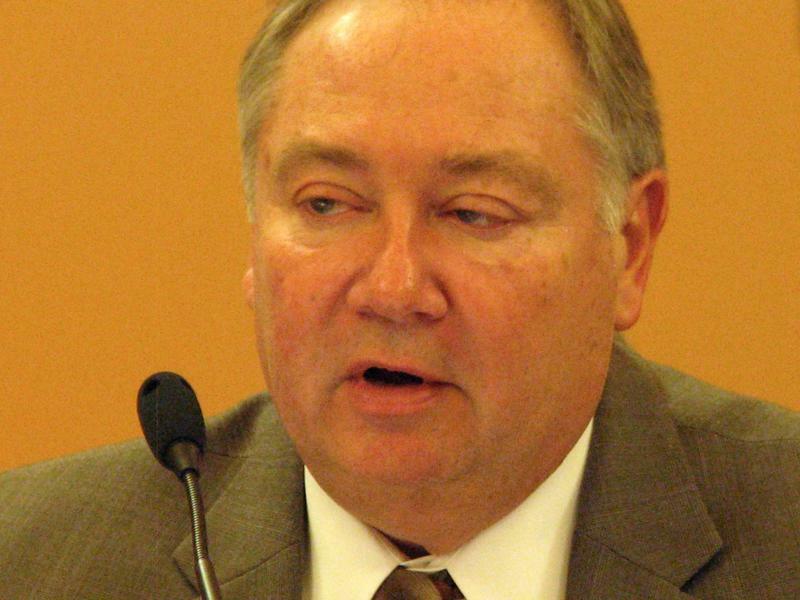 One of the top Republicans in the Kansas Senate says it’s time to fix the causes of the state’s ongoing budget problems. During an appearance on the KCUR podcast Statehouse Blend, Sen. Jim Denning, an Overland Park Republican and vice chairman of the Senate Ways and Means Committee, said recurring budget shortfalls have convinced him that the income tax cuts the Legislature passed in 2012 aren’t working. 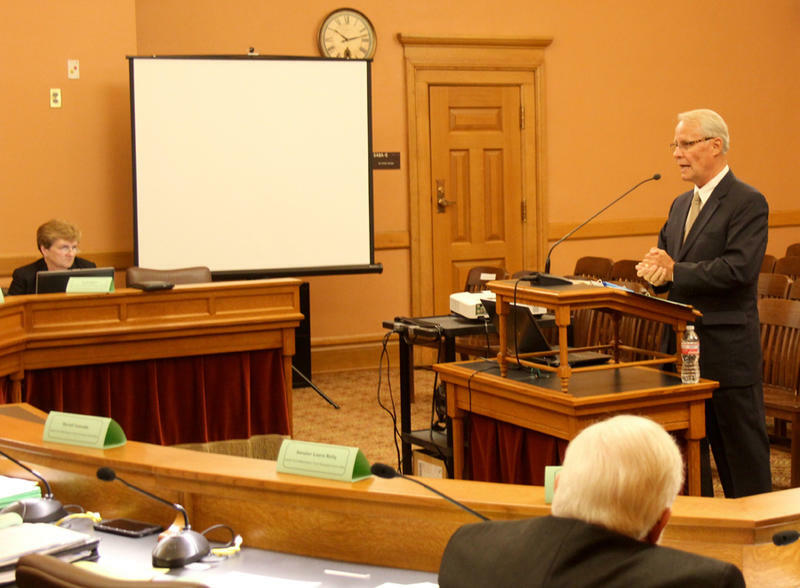 Kansas budget shortfalls are increasing concerns that the Legislature may divert money from a $271 million fund used to cushion the cost of medical malpractice claims. Such a move could increase health care costs if providers were forced to pay more into the fund to replenish it. The Health Care Stabilization Fund oversight committee decided Wednesday to include language in its annual report urging lawmakers not to sweep money from the fund.